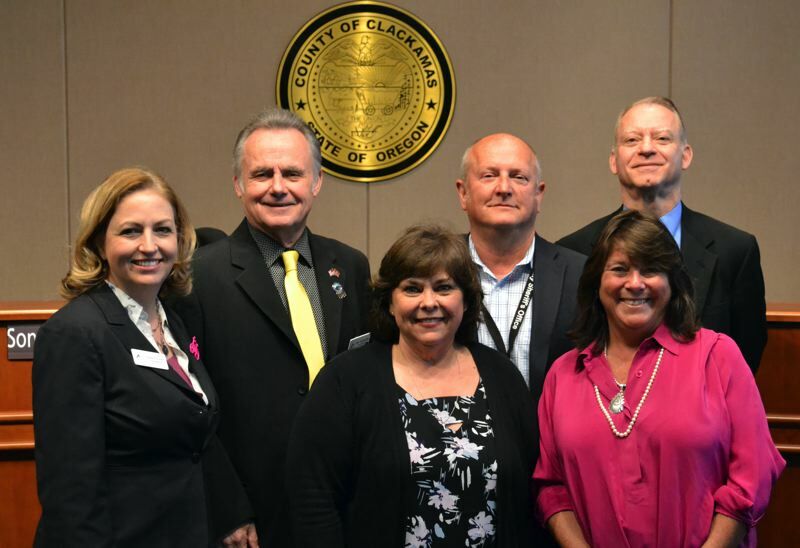 This month the Board of County Commissioners oversaw Tami Little being sworn in as the new Clackamas County assessor. Little has been with the assessor's office for more than 34 years. She has served as assessment and taxation manager since 2007. "I appreciate the opportunity to serve as the Clackamas County assessor," Little said. "I intend to continue the good work of Bob Vroman to ensure residents and taxing districts have confidence in our property tax system and continue to receive high-quality customer service." Little's appointment follows the retirement of Vroman, who resigned his position effective April 30. He had served as assessor for 11 years and recommended that Little succeed him. Washington and Multnomah counties no longer elect the position of assessor. Vroman was elected to another full term in the 2016 primary. He won re-election by a relatively narrow margin with about 51.5 percent of the vote. As a longtime assessor's office employee, Vroman had said he was likely to retire and not complete the full four-year term. In general, the assessor's job has been less controversial since the 1990s statewide property tax limits curbed the discretion of assessors, although the checkerboard patterns of wildly differing property values are beyond their authority to fix. Commissioners unanimously appointed Little, who they found met state requirements. Little will hold the position until a successor is chosen in the November general election and is sworn in the following January. Aug. 28 is the last day to file for candidacy in the general election. Pamplin Media Group reporter Peter Wong contributed to this article.